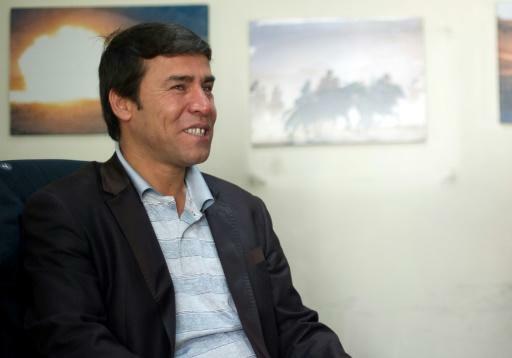 Agence France-Presse's chief photographer in Kabul, Shah Marai, who was killed covering a suicide bombing on Monday, was a charismatic, courageous journalist who was dedicated to reporting on Afghanistan's wrenching conflict. The 22-year veteran of the agency leaves behind two wives and six children, including his only daughter, born earlier this month -- an event that brought him great joy and was celebrated with cake at the Kabul bureau just over a week ago. He was killed, along with at least five media colleagues, when a suicide bomber detonated himself among the crowd of journalists who had arrived to cover an earlier blast. Marai's versatility and easy camaraderie was demonstrated in a message moments before the second attack, in which he reassured an AFP video colleague who was stuck in traffic and could not reach the scene. "No worry man, I am here," the 41-year-old said by WhatsApp, adding that he was shooting video in addition to taking photos. His powerful photographs are testament to the unimaginable violence he witnessed over the years -- as well as the fragile moments of beauty and joy in a country pummelled by decades of war. He himself was beaten and threatened by the Taliban, and suffered devastating personal loss several times over, including in 2014 when AFP senior reporter and his good friend Sardar Ahmad was killed along with his wife and two of his children in a Taliban attack. Marai often spoke candidly of sleepless nights haunted by what he had seen and endured, and of his fears as Kabul slipped further into violence. Yet through it all he remained known for his mischievous sense of humour, his love for his children -- often bringing his sons to the bureau to visit colleagues -- and his enthusiastic efforts to bring down office tension with games of ping pong or volleyball. "This is a devastating blow, for the brave staff of our close-knit Kabul bureau and the entire agency. Shah Marai was a treasured colleague who spent more than 15 years documenting the tragic conflict in Afghanistan for AFP," said Mich�le Leridon, AFP Global News Director. "We can only honour the extraordinary strength, courage, and generosity of a photographer who covered often traumatic, horrific events with sensitivity and consummate professionalism." Tributes poured out for him on social media, where fellow reporters who had worked with him for years mourned his loss. "Our friend, the great photographer Shah Marai, is among the dead of the second Kabul explosion this morning. He was doing his job, like he had over two decades," wrote New York Times correspondent Mujib Mashal. Marai first joined the Kabul bureau in 1996 as a driver, the year the Taliban took over the country. Within two years he was taking photos on the side, becoming a full-time photo stringer in 2002. By 2000, Marai was AFP's lone man in Kabul, calling in stories by satellite phone to the agency's Islamabad bureau and cautiously snapping shots around the war-torn city. "They hated journalists," he wrote of covering the Taliban in a 2016 blog for AFP entitled "When hope is gone". "I rarely put my name on my photos at the time, I just signed them 'stringer', so as not to draw unwanted attention to myself." Marai recalled watching the 9/11 attacks on the BBC. Weeks later, he was one of the few reporters to cover the bombing of Kabul ahead of the US invasion, taking only a few careful snaps as the Taliban-held city was pummelled by air strikes. 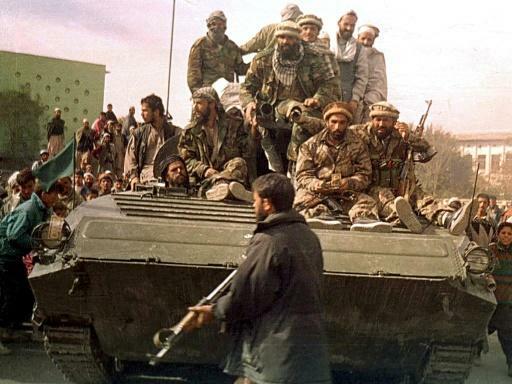 Following the invasion, Marai recalled Kabul entering what he called the "golden years", with the Taliban ousted and peace returning to the country for the first time in decades. "It was a time of great hope," he said. "You could travel anywhere, south, east, west. Everywhere was safe." By 2005, the Taliban had begun to regroup and violence increased again. 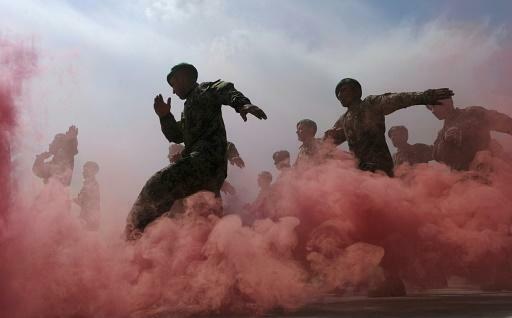 NATO combat troops pulled out in 2014 and the Taliban now controls or influences increasing amounts of territory across Afghanistan, while the Islamic State group -- which has claimed responsibility for the blast that killed Marai -- has also made inroads. Marai spoke candidly of his fears for himself and his family in the 2016 blog, which marked the 15th anniversary of the US invasion. "I don't dare to take my children for a walk... Every morning as I go to the office and every evening when I return home, all I think of are cars that can be booby-trapped, or of suicide bombers coming out of a crowd. I can't take the risk. So we don't go out," he wrote. "I have never felt life to have so little prospects and I don't see a way out."